Utility companies do their best to provide clean, safe water to millions of Americans. However, they cannot guarantee the water always meets EPA standards. Source water from lakes, reservoirs, rivers and wells change. The quality is never the same from one minute to the next. Utility companies cannot test every gallon of water flowing through their plant so the water quality is not a constant. Chemicals and even pharmaceuticals have been found in source water. In addition to the moving target of source water, old piping distribution systems can add contaminates to the water such as lead, other metals and possibly microorganisms. Many customers experience high levels of salt in their water from road salt in the winter. This indicates that run off water mixes with source water. Excessive chlorine is another notable degrade in quality. These contaminates and a host more can be reduced to provide bottled water quality water from a faucet at your kitchen sink for pennies per gallon. Our first step to solving any issues with your home’s water is determining if there is a problem in the first place. On of our professionals will visit your house and test your home’s water to determine if your water is experiencing any of the issues mentioned above. 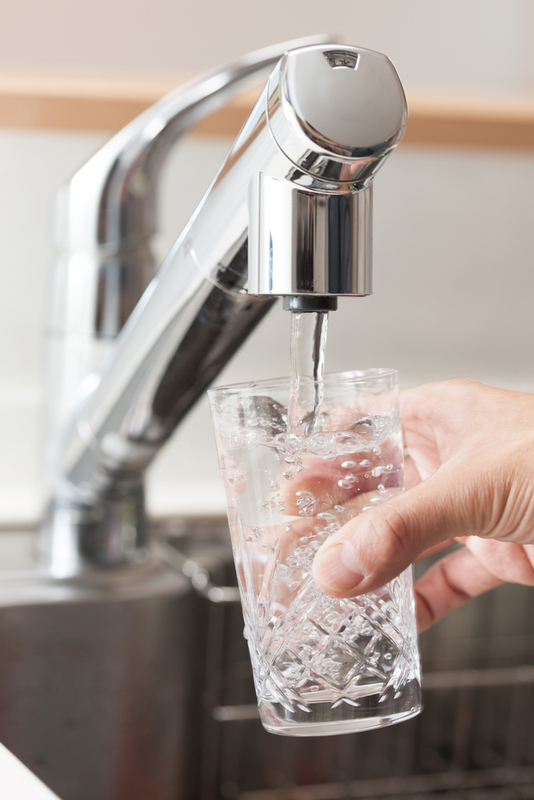 If so, we will provide you with a plan of action and a comprehensive quote which lays out our recommended solution for any issues affecting the quality of your family’s drinking water. There is always the right tool to fix any problem. When it comes to water quality, in many cases, the right tool is a Revers Osmosis unit. Reverse Osmosis technology produces better than bottled water quality at a fraction of the cost. It removes a host of heavy metals and chemicals including lead, mercury, and arsenic to name a few. They also remove nitrates. If you are looking for safe drinking water without the cost and hassle of bottled water, Reverse Osmosis units and coolers are your best choices.